There are plenty of fancy door locks on the market these days, but sometimes even the best locks can’t stand up to brute force. If you’re looking for a way to reinforce your door, a door security bar could be just the thing. Here are our favorites. 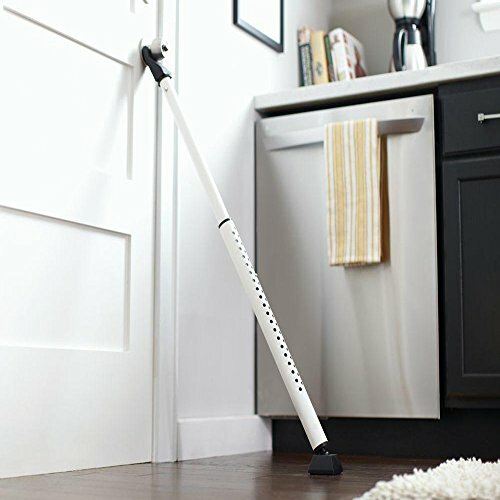 The Buddybar Door Jammer is considered a classic for a reason—it’s simple, heavy-duty, and easy to use. 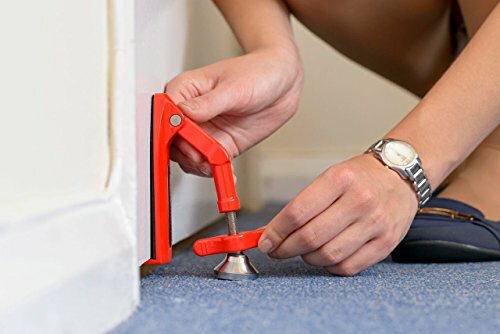 You can install it in seconds and remove it easily when you’re ready to leave the house. Unlike the Buddybar, Master Lock’s security bar works with sliding glass doors—an important point of entry you shouldn’t overlook if you’re trying to protect your home. Master Lock’s security bar isn’t as heavy-duty as the BuddyBar (it weighs about six pounds less)—but since it works with sliding doors and hinged doors, it’s a good alternative if the Buddybar is too expensive. 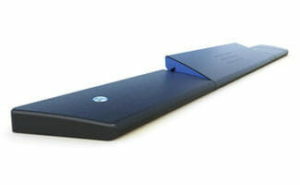 A portable door jammer can help you feel safer in an unfamiliar place. Toss it in your purse, briefcase, or backpack before your next trip for some extra security in your hotel room or hostel. The biggest drawback to most door jammers is that you can use them only if you’re inside your house. Haven Connect changes that. 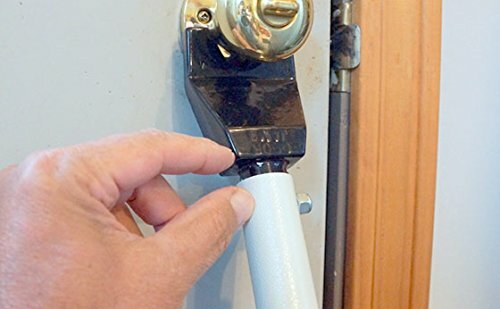 This is one of the only door jammers we’ve seen that can be used when you aren’t home. After it’s installed, you can use your smartphone to tell Haven Connect to block the door. And since it’s a smart device, you can also give digital codes to friends if they’re checking on your home while you’re out of town. Haven Connect is much more expensive than the other door jammers on this list, so we don’t recommend it for everyone. However, it’s your best bet if you want to physically block your door after you’ve left the house. How do you secure your front door? Securing your front door is one of the simplest ways to protect your family and your property. Some people use smart locks, others use door security bars, and some use doorbell cameras. What do you do to keep your front door secure? We’d love to hear your tips in the comments below.